The truth is that what's desirable is usually also too much for the real world. In the case of Ducati's Panigale, this is especially true for the big 1299s. I haven't ridden one, but I'm told they're fast and ferocious to the point where lesser riders will fear it and great riders will be reduced to emotional tears. 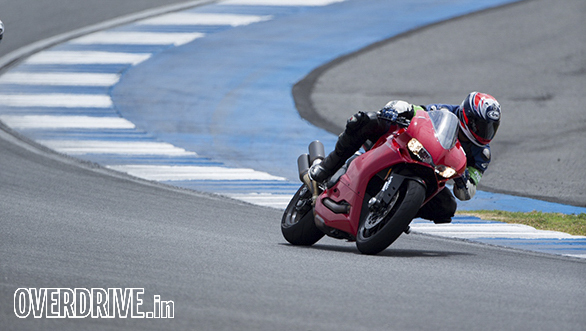 The middleweight Ducati sportsbike has always been about a balance between road and track use. They've had, as Ducati itself says, a better balance. 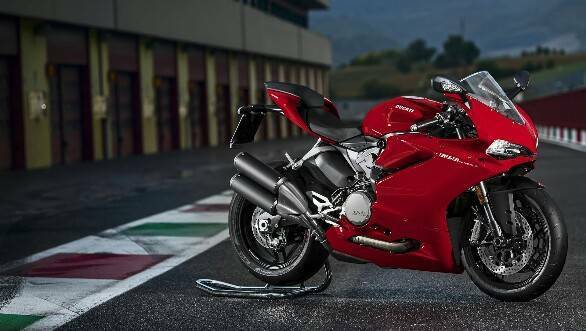 Welcome to the intriguing world of the Ducati 959 Panigale. 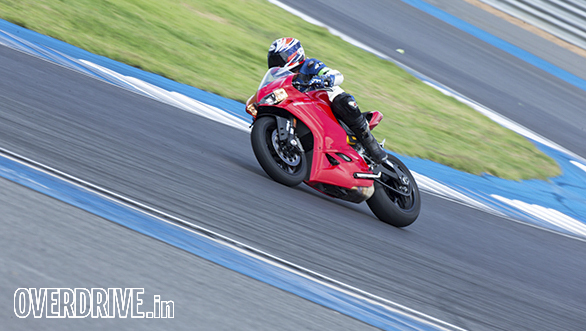 I got the opportunity to ride the Ducati 959 Panigale in Buriram, Thailand at the World Superbike circuit. Here are the essentials. The middleweight is not slow! When I first read about this class, it was the Ducati 748, which sat quietly beneath the iconic 916. How times have changed. 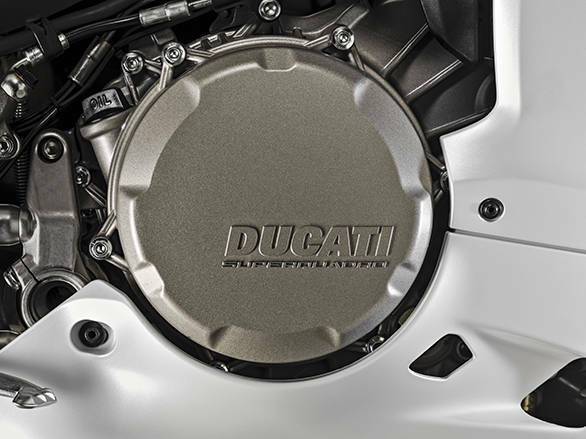 The new Ducati middleweight displaces 955cc and makes 157PS, which is insane! How does that kind of performance become available on a mid-range motorcycle? What world are we living in? However, in the second session and with a growing but fragile familiarity with the Buriram circuit, it rapidly became clear that there's a method in the madness. And not just in the sense that 157PS is middling power compared to the 200PS that every full-size sportsbike seems to make now. In that session, in Race mode, I found a sense to rhythm and understood the balance Ducati was aiming for. In this mode, the 959 feels direct and connected, and you sort of settle in to its rapid but not overwhelming pace. How is a motorcycle this fast not sensory overload? First, the electronic safety net changes everything. Did I ride hard enough to trigger traction control intervention? I don't think so. But the mental assurance that you'll be caught should you fall does make a difference to the pace. I found the Engine Brake Control cuts the chassis attitude change under braking which makes corner entries a less busy time. And having ABS with rear lift prevention is a mental sign of relief too. Did I activate these functions? EBC you can feel, but the other systems are heading directly towards a near-complete invisibility. 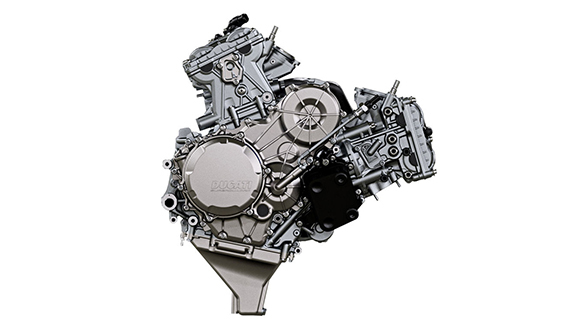 The second is that Ducati's V-Twin engine allows really narrow, skinny motorcycles that feel small, playful and controllable. This is important. It improves your sense of control and hence, confidence levels. The 959 feels tiny under you - and it is. The bodywork is shared with the 1299, but this really is a light (200kg wet! ), small motorcycle. Walking the motorcycle around pit lane for pics is remarkably light work, and on track it continues to feel just as light and manageable. Going ever faster, then, comes easy and quick even to relatively inexperienced hands. Turn 4 at Buriram is a fourth gear left that heads slightly downhill. It's very, very fast and requires great steering effort as well commitment. 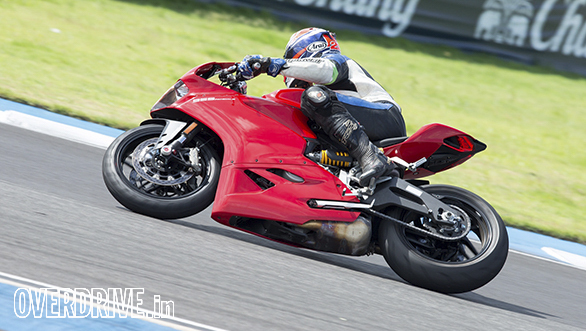 And you'd be surprised at how easy it felt on the 959 Panigale. Once the track layout became clearer, nailing the throttle to the stop despite the considerable mid-corner speed feels natural rather than scary. That's special. It is only later that you notice how much you're able to ride the front tyre when you've made a mistake. Or how easily the 959 Panigale seems to allow you to recover from a botched braking point or a late turn in. 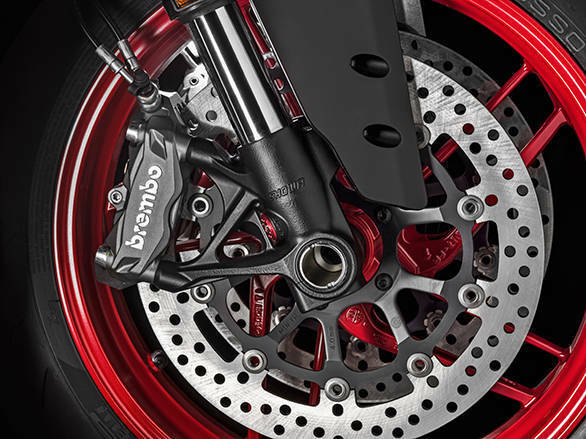 The Pirelli Diablo Rosso Corsas are OE tyres on the 959 Panigale, and they're supposed to be street tyres that can handle the wet as well as the track. They certainly proved extremely impressive at a dry, hot but humid racetrack. It took wear and the heat of the afternoon to provoke only the slightest hunting during hard braking at the fag end of the day. These are wonderful tyres. I know from my experience with these on other bikes that the Corsas require only careful riding on our roads to produce trouble-free, grippy as well as reasonably long lives. It's not too hard on the wrists either! I have to admit that the idea of owning a sportsbike now scares me. The amount of discomfort from the riding position just seems more and more forbidding as I grow older. But as much as I remember that commuting, say, on the Triumph Daytona 675R is hard on the wrists, the 959 Panigale surprised me. It visually looks like a committed riding position, but it's surprisingly spacious and accommodating. I can't wait to ride it on the street! Ducati official factory test rider, Alessandro Valia, my coach for the day shed more light on this. He said that unlike the 1299, the 959 is a road bike first. We were running a set-up with more compression damping at both ends, but the stock set-up is softer. The manual, in fact, has a comfort setting that a commuter or highway tourer might better as well as a sportier set-up more suited to the track. This is the advantage of having adjustable suspension. The 959 gets full adjustability front and rear. And apart from a C-spanner to change rear preload, all you need is a screwdriver to change the bike's set-up. It's a great value proposition! I'm really surprised to say this about a Ducati, an avowed premium bike brand, but the 959 Panigale is terrifically priced in India. Just look at the equipment. This 157PS sportsbike has the latest electronics (no IMU though for cost reasons), the latest ABS (Bosch 9MP, no cornering ABS), fully adjustable suspension, slipper clutch and a quickshifter. For Rs 14.3 lakh (ex-Pune), that's not cheap but is great value! 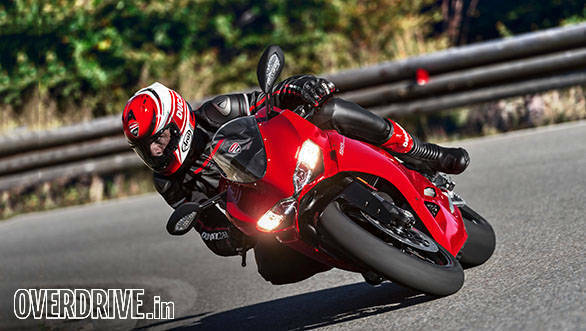 It's just Rs 2 lakh more than the Triumph Daytona 675R approximately and quite a bit less than the MV Agusta F3 800 that's just gone on sale. I'm waiting to test the 959 in India to see if it's the best sportsbike you can buy in India, but I'm pretty sure it's the best sportsbike deal at this price! There's an honest directness to the Ducati 959 Panigale that I found very, very appealing. It manifests in the unhesitatingly rapid engine with its great midrange that blends into a sharp top-end. I love the fact that it can put 200+ kmph on its LCD screen so rapidly and yet feel controlled and firmly on your side. It falls to lean angles very fast but without feeling like it's dropping away from you. It corners with stability and precision, rewards good riding, soothes and forgives mistakes. It's very hard to fault really. And that's the key to grasp the Ducati 959 Panigale. It's meant to be a relatively affordable, accessible sportsbike that you can ride on the street. A sweeter flavour than the more brutal bigger Panigales. And Ducati have nailed it.